Our props are huge and great for any fantasy themed party, kids or adult birthday party, indoor/outdoor festivals or even Burning man ;) Custom made from Styrofoam, so they are somewhat light but takes three people to set up and break down and a box truck for transport. They look great during the day and especially at night because they do light up (except for the caterpillar) but you will need to have a standard electrical outlet nearby. We can deliver, set up, break down (Turn Key Rental). 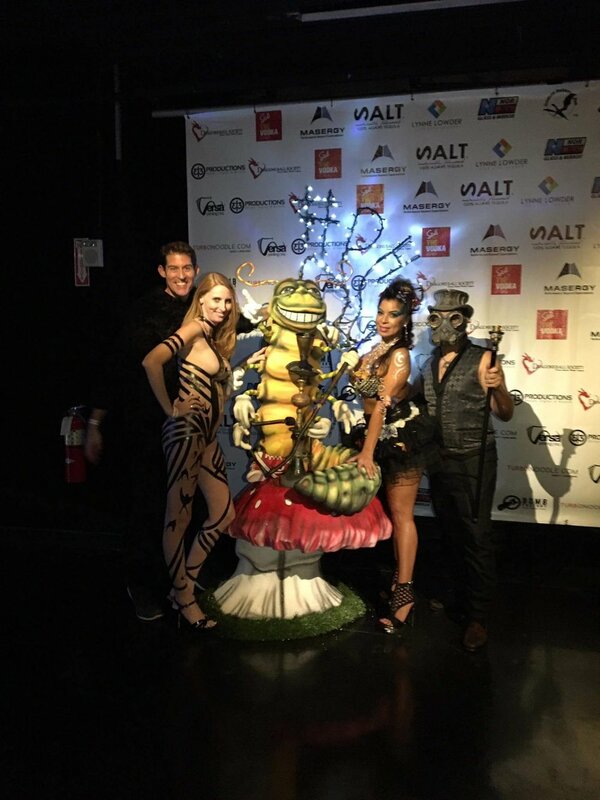 We can also make custom art and props for any event as well as help staff your event with amazing body artists, performers, and DJs from the Dragons Ball network of talent. For a multi-day rental price quote, special pricing and availability call (214) 702-2847 or click here. *Rental Pricing includes local delivery (within 20 miles of North Dallas), set up and break down (Turn key rental). *You must have insurance or pay for any damages upon demand.